There are countless threats out there. This can range from cold calling to simple spam. How best can you avoid this you may wonder. It’s not always easy as the creators of these malicious movements are becoming more cunning. They make them look very legitimate, or hire people who actually believe they are the real deal. Spam– False emails claiming to be from a trusted source or offering great deals. This is often combined with viruses, spyware or phishing scams. Viruses– Just like the living version, it has the ability to replicate itself across computer systems, hence the difficulty of defeating it. They are there to corrupt files and software. Rootkits– Software which has the ability to hide itself once installed on a system. Usually via exploits in the systems software. Dialers– Uncommon now due to broadband, but they use a computers modem to dial out to expensive numbers causing increased internet/phone bills. Worms– Like viruses, they replicate across networks. However, unlike viruses, they do not need to attach themselves to any programs to do so. They set out to disrupt your network by chewing up bandwidth or not allowing access at all. Trojans– Just like in Greek mythology, they disguise themselves to gain access to your computer and then grant that access to another computer. They may also corrupt and harm the host system or steal information. Spyware– As the term suggests, the primary purpose of this rascal is to spy and steal the users information. It is usually not detected by the end user. **Cold **Calling– This one is on the rise. Although it is not a direct computer threat, I thought I would include it to get the word out there. This is where someone calls your number claiming your computer is infected and they will fix it. Often they also claim to be from Microsoft or similar. LIE! They will never cold call you. Phishing– This is a big one. This is where fake websites claim to be legitimate ones (such as your banks, PayPal, Gmail, Facebook etc.) to steal your identity and information. Keyloggers– These are programs which run on your computer to attempt to steal your information by monitoring and recording every key stroke. A lot of it comes down to commonsense. If you are not sure, DO NOT DO IT. I cannot stress this enough- if you think something is fake, assume it is. The worst case scenario then is that you are late doing something- but better that then not being able to do it at all. Check downloaded files– If you are downloading files ensure they are from a trusted source. Also ensure the file extension relates to the type of file. If you are wanting a Word document, but the file extension (the last 3 letters following the stop) is different (e.g. .exe, .zip, .com), then it is probably fake. Common file extensions can be found at www.fileinfo.com/common.php. Do not visit untrustworthy websites– If you antivirus software or web browser alerts you that the website may not be legitimate or trusted, close your browser and don’t go back there. Have up-to-date antivirus/antispyware software– This is perhaps the most critical. If you do not have an antivirus program which is fully patched and can recieve updates, you are asking for trouble. Free ones such as Microsoft Security Essentials are good, but I always like to pay for the piece of mind. Do not open suspicious emails– Even those which appear to be from people from your contact list may not be. If you aren’t expecting them to email you downloads, links or begging for money because they are overseas, delete them. Do not click on ads– Advertising on websites has become increasingly fraudulent. If it sounds too good to be true, it probably is. Free iPad’s, MacBook Air’s and iPhone 4S’s aren’t going to happen. Ask– If you aren’t sure, ask someone who might know, such as your local IT expert. 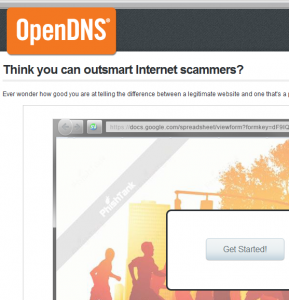 **Take some **quizzes– A great one from OpenDNS on phishing websites will help you better protect yourself and work out why you shouldn’t click. Check up on the latest threats– This can be done via Hoax Slayer for spam messages and Trend Micro for malicious software. Hang Up– If someone cold calls you, hang up. Take the PC to your IT expert– This is the easiest and best option for you. They will ensure everything is off and all back to normal. Research– Often there is an easy way to remove these threats manually. Only do this if you are confident. Freeze your bank account, PayPal and credit card– Be on the safe side and ring your bank.